We can help you right away. Simply fill out the form below and we'll get back to you to discuss your packaging needs. 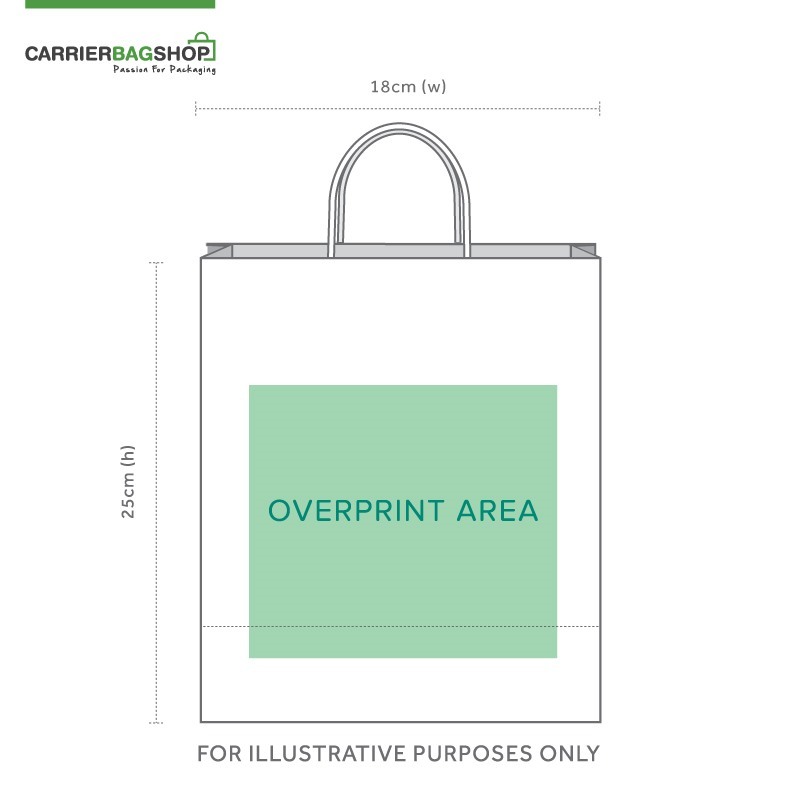 Our Printed Carrier Bags are versatile and great value for money. These personalised shopping bags are made in Italy. They also feature a twisted handle and are 100% Recyclable and 100% Bio-Degradable, an ideal alternative to plastic. 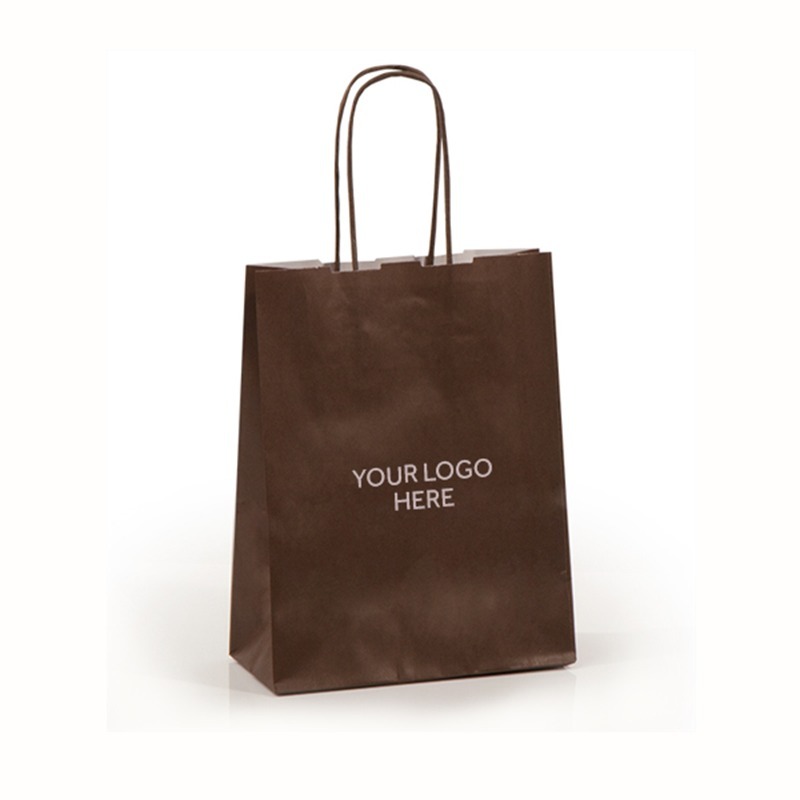 Lead Times: Standard delivery time on these bags if we are overprinting onto our stock products is 3 weeks. For larger runs and more complicated artwork that we are reproducing, the turnaround time is slightly longer, typically 4 to 8 weeks. 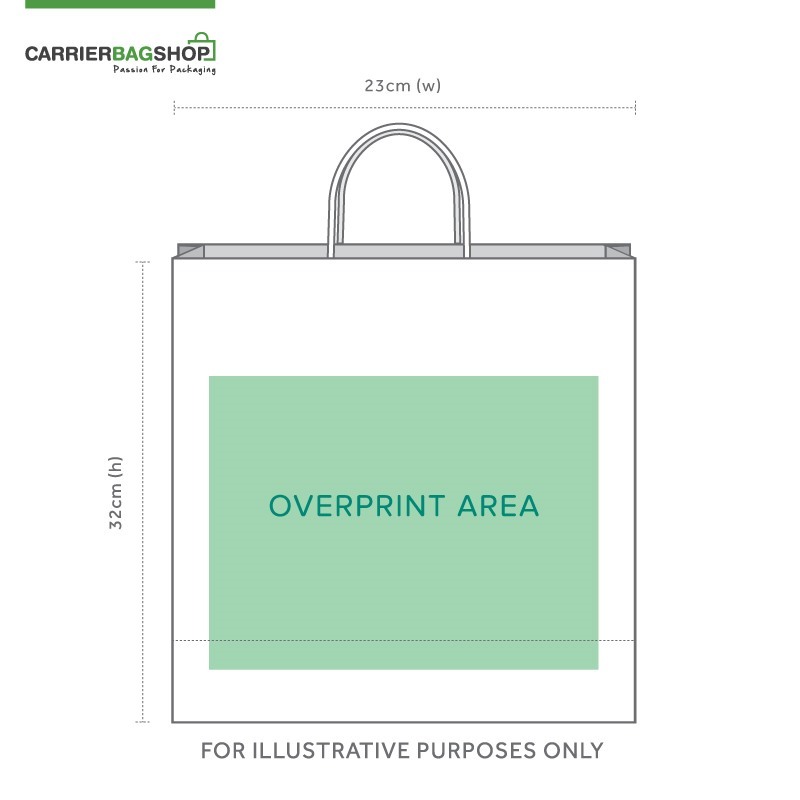 Minimum Order Quantity: If we are printing on our stock bags, we can supply great low minimum order quantities from 250 bags (or one box, whichever is greater). With overprinting, you can only print up to two colours. 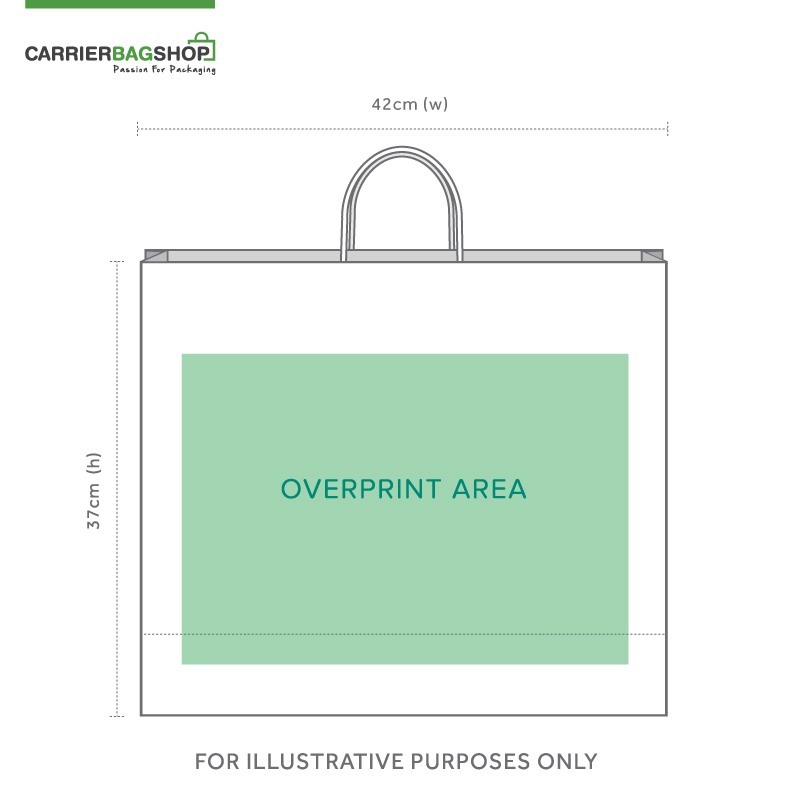 If you are ordering over 3,000 bags then it no longer becomes cost effective to print onto our stock bags, it is more efficient to print and manufacture directly (automatic production). You can then print in full colour and we can usually reproduce complex artwork. Colours: Short runs can be printed onto our stock, please click here to see the website for our current collection to check which colours are available. 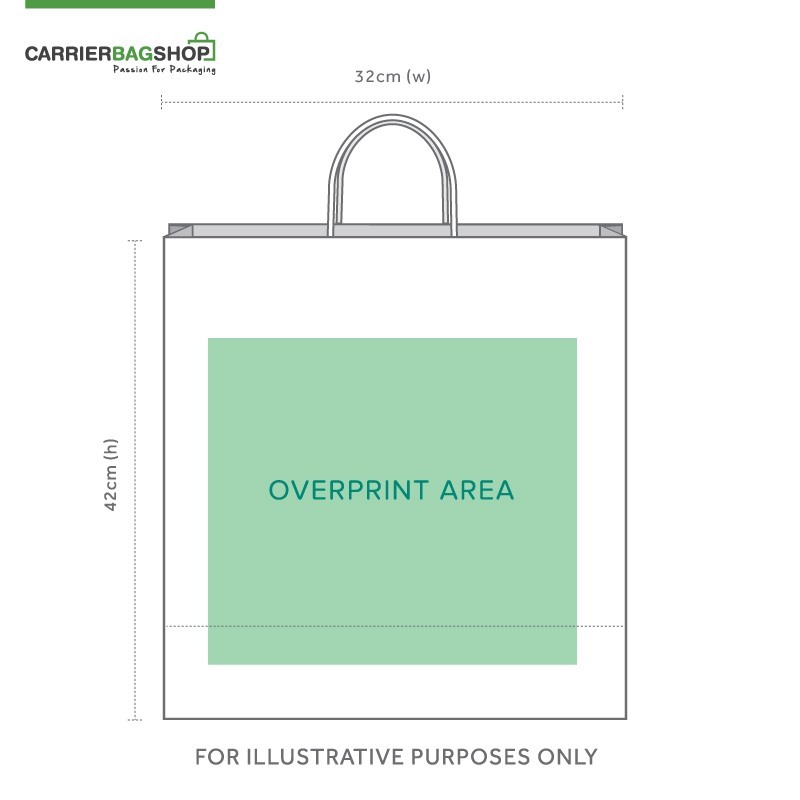 You can print up to two colours on top of our stock bags. We can flood printing when printing large runs. Just send us your pantone number (check with your Packaging Consultant for more help) and we will try and match this colour. This means you can truly represent your brand in the most accurate way.